I'm currently a student of English Literature and when I'm not writing epic poems I like to spend my time knitting beach towels, collecting rocks that look like horses, and growing my toe nails. 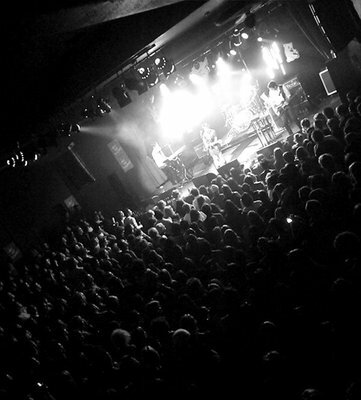 Sydney's hottest and newest venue is the Hi-Fi. With locations already in Melbourne and Brisbane, the Hi-Fi has now spread to Sydney. Located in the Entertainment Quarter, transport is no issue, with plenty of parking and very accessible public transport. Much smaller than neighboring Hordern Pavillion, the Hi-Fi allows for a much more intimate experience. 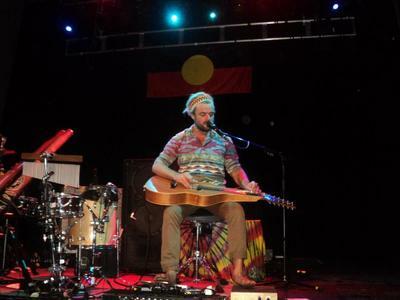 Mixed with Xavier Rudd's harmonious melodies and stirring vocals, the Hi-Fi proved to make this concert a memorable night. The lighting and sound were both superb and the intimate atmosphere allowed for a very seductive setting. Plus on top of that there is a very accessible bar inside the Hi-Fi, cloak room, friendly staff, and plenty of merchandise available to fix all your merch needs.